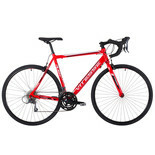 If you are a road cyclist where speed and endurance are priorities, one of our road bikes could be the perfect solution for you. As fuel and public transport prices continue to rise, more and more people are taking to two wheels for commuting and leisure purposes. 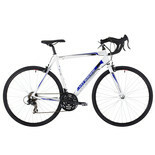 Road bikes are lightweight, with narrow wheels, and high gears, so they are perfect for comfortably riding at speed. The handlebars of our road bikes provide a number of different holding positions – providing comfort for long journeys. 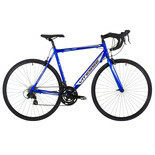 Our road bikes are from well-known brands, and are made using quality components, maximizing durability and safety. Our Raleigh designed Avenir are perfect for beginners, giving you a taste of fast road riding but with enough comfort for a novice cyclist. 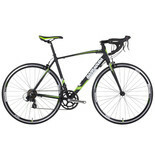 Our Barracuda road bikes are light, fast and perfect for commuting. 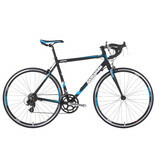 As well as men and women’s road bikes, we stock mountain bikes, hybrids, and an array of cycling equipment to keep you safe and your bike well maintained. You can buy online now, order by phone, or visit any of our superstores across the country.